The Academy of Motion Picture Arts and Sciences announced today that it would be expanding the number of films in its Best Picture category from five to 10. In immediate response, a Hollywood spokesperson said the movie industry had promised to make twice as many good pictures. Not really. The doubling of finalists for the most prized Oscar will have no impact on the quality of films. But it should allow a wider variety of movies in a category that has, over the past decade or so, been hijacked by "worthy," mostly unpopular films that don't come close to representing the technical and storytelling savvy that modern Hollywood artisans are so very good at. In other words, an action film like The Dark Knight. In other words, a Pixar feature like WALL-E. If today's announcement did anything concrete, it certified a Big Picture nomination for Pixar's Up and maybe  I mean, why not?  Star Trek. Wouldn't it be nice to wake up on Oscar-nomination morning and hear, for once, "And the nominees for Best Picture are ... movies you've seen"? 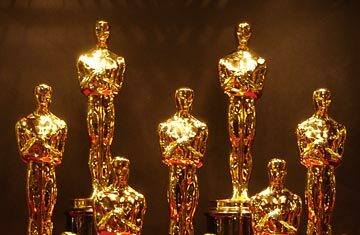 In its first years, the late 1920s, the Academy allotted three, then five slots to the Best Picture nominees. In 1932, eight movies were cited; in 1933, 10; in 1934 and '35, 12; then 10 nominees in the next eight years. Looking back, we can say the category rose to accommodate a burgeoning supply of first-rate films. And different kinds of films, even one in a foreign language: Jean Renoir's La grande illusion, on the 1938 list. Everyone acknowledges that 1939 was a vintage Hollywood year for films. Gone With the Wind won eight awards, including Best Picture, defeating three other adaptations of famous novels  Wuthering Heights, Of Mice and Men and Goodbye, Mr. Chips  and Frank Capra's all-time rabble-rousing political drama Mr. Smith Goes to Washington. If there'd been just five slots, the roll call might have ended there. But since 10 was the magic number, there was room for two transcendent weepies, Dark Victory (Bette Davis loses her sight) and Love Affair (Irene Dunne loses her legs), plus a musical, The Wizard of Oz, a western, Stagecoach, and a romantic comedy, Ninotchka  all of which are close to being the definitive examples of their genres. Since the 1944 crop, it's been five Best Picture nominees. And for a few decades, the voters admitted all manner of films to the annual quintet: noir (Double Indemnity), westerns (High Noon), comedies (Father of the Bride) and a slew of musicals. They often weren't anywhere near the best pictures, but at a high-mediocre level, there was a welcome breath of selections. Recently, though, the list has got pretty samey. Among this year's top five were two popular films, the winning Slumdog Millionaire and The Curious Case of Benjamin Button, buttressed by three strenuously worthy films  Frost/Nixon, Milk and The Reader  that appealed to the political preoccupations (Watergate, gays and the Holocaust) of the Academy's venerable membership, and which almost nobody else cared to see. See pictures of actors nominated for leading and supporting-role categories in the same year.